Summary: This article is about how to address difficult issues that you would rather not discus at work or at home. The elephant in the room is an issue which no one seems to address, but you feel it and it can paralyze you. It can be a sore spot, something politically incorrect or a hot potato. No one dares to touch it and it’s ignored. How do you deal with it? Is it really an elephant? First, check if it’s a real elephant: Perhaps it’s a fiction of your imagination. Sometimes it can be an issue for one but not for all. And by naming it, you can actually create an elephant in the room! So talk with someone about it or do some research. In first job, I was absolutely sure that the accounting department had made an error in my paycheck. I was paid too much in the month of May an I wanted to go to my boss or to the HR department because I was quite upset. A colleague then who told me that this was a reoccurring holiday pay. Sigh! That saved me from an embarrassing mistake! The elephant can be a misunderstanding. I find it quite scary to talk about the elephant. To boost your confidence you can find an ally. Have a preliminary meeting to check your feelings and thoughts. Then discuss on how to proceed. So have a plan and keep calm. Second, address the elephant carefully and acknowledge it. In a scene of the movie Zootropolis, the chief of a police department does this is in a fun way. As soon as the elephant has been named and dealt with, it becomes smaller and disappears. A pressure has been relieved and everybody feels better. Dealing with an elephant in the room is similar to giving feedback. You have to be honest, sincere and thorough to address the situation. You’ve got to name it. So prepare beforehand by jotting down ideas and arguments. Start by naming it in the I form, like “I have seen this…..” or “I’ve noticed that…..”. Then tell about what the result is of your observation. How does it make you feel or how does this reflect on the goals, mission or vision of the group you’re currently working with. Next, be open to discussion. Let everybody have a chance to talk about the elephant and how they see the situation. Give others the freedom to ventilate and talk about it. Chances are that emotions come in as soon as the elephant is named. Acknowledge these as well by saying for example “I understand what you’re saying” or “I understand that you feel…about this”. If emotions rise too high, take a break or adjourn the meeting. When everybody has had their share of the elephant, discuss a plan on how to tackle the situation. Being creative, thinking out of the box or even being humorous can help a lot, but this depends on the type of challenge. Also talk about what you, as a team, can do if the elephant re-enters the room again. How do you recognize it and how is it addressed in the future? Last, when everyone agrees on how to proceed and the elephant is escorted out of the room it’s time for closure. Make sure everything has been said and all is clear on how to proceed. Thank the attendees for their input and let them know that they’ve contributed to an important learning experience. You might even go out together and do something fun. In short: The best way to get rid of the elephant in the room is to deal with it! How do you deal with elephants in the room? Do you ignore them or do you deal with them? Let me know in the comment box below. I, and other readers of this article look forward to read from you! Thank you for reading up to here & sharing this article with your colleagues, friends or family. And please SHARE this article with your network on Twitter, Facebook, LinkedIn and Google + by pressing the buttons below so that they can also benefit from this article on how to address difficult issues. I am bad with elephants. For me the idea of sitting down and preparing with some notes, probably is the way to go. Why do you think that you are bad with elephants? What works for you and what doesn’t? Elephants in the room are a challenge for many, including myself. Another tip is to bring an external facilitator to the meeting to make sure the elephaent is properly tackled, everybody is heard and that a feasible and sustainable plan is made! Thanks for your interesting blog! It requires a reaction from me regarding the “Acknowledgement by saying “I understand what you’re saying” or “I understand that you feel…about this”. 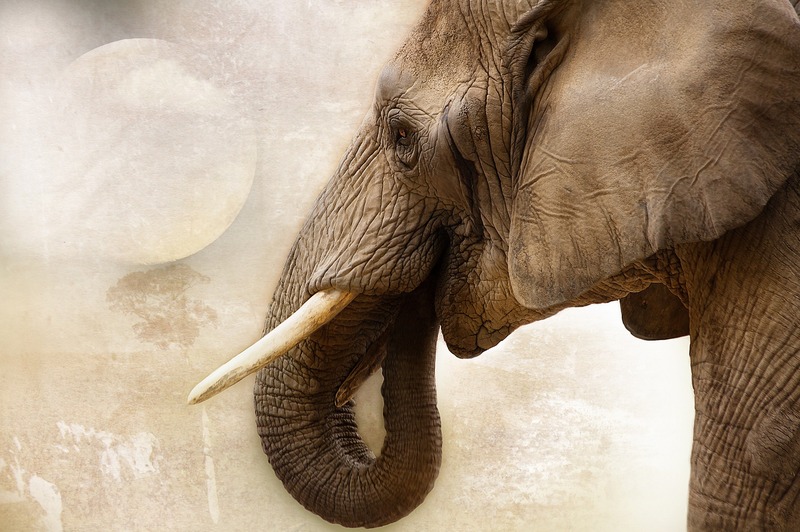 People who have learned those sentences in a course (or from a blog ;-)) without the real compassion, will start to inflate a new little – but fast growing – elephant in the room! And in my opinion, adjourning this meeting will not give a solution. Dealing with emotions – after a short break – will do! Thank you very much for your comment Marco. You’re right by that one can’t only learn by sentences taught in a course or written in a Blog or article. The real elephant can only be addressed when taking action!